The workshop disposes of the largest collection of leather gilding tools that exists today for restoration or reproduction, covering all styles from all eras. 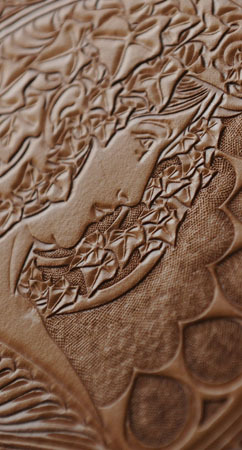 At clients' request, it also continues to make gilding tools, especially for printing plates for luxury brands. 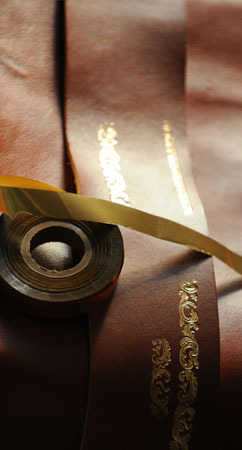 We do cold stamping with gold or silver, and colour, on all kinds of leather. 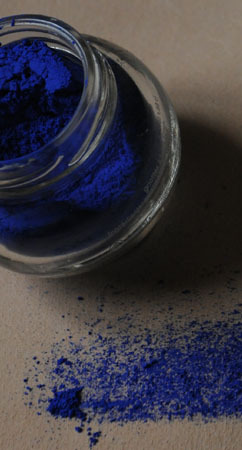 We can also produce gilding burnishers, plates or wheels, for both restoration and creation. In keeping with professional ethics, only solid gold of at least 22 carats is used for gilding on leather. 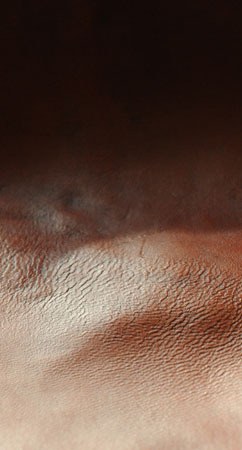 Other techniques are used such as embossed leather (Cordoba leather, or cordwain), marbled leather (sculpted leather), and mosaic on leather (rather like marquetry). We also traditionally propose painting on leather, tinting by hand, ageing and patinas, "cuir bouilli" (leather hardened by boiling) and cracked leather.